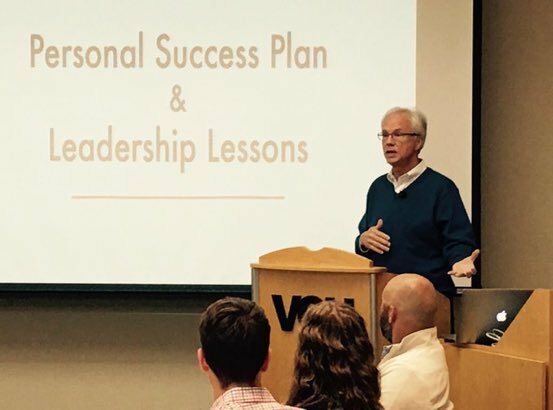 This past August, our group held our first Elite Training Camp in Richmond, VA. What follows is some quick hitters from our session on Personal Development. Hope you learn something you can apply to your growth! 1) These jobs are flat out hard to get, it is very competitive. Especially in the NBA. 2) There is no set way or one path to advance. 3) Luck is every bit as much about ‘being there’ as it is ‘you’re lucky to be there’. People who are lucky, they are intentionally there. They’re not merely lucky to be there. 4) If you seek jobs for the money or the title, you’re going to have a diffcult time. 1) Time – You have to put it in, and you have to know it takes a lot of time. It takes time to study the game, to improve your basketball knowledge, to learn useful technologies, to navigate your career path, and more. 2) Investment/Entitlement – There is entitlement at both ends of the spectrum; from the Head Coach or CEO who has had success for 30 years, to the first year rookie who thinks success is already deserved. Young people: Have a ton of passion and energy! Your knowledge must catch up with your passion. More experienced: Have a ton of knowledge and share some of that passion with others. 3) Resolve – Climbing the ladder is all about perseverance. Coming back when you hear no. Coming back when that person doesn’t return your email. You must keep believing in yourself and stay positive no matter what. 4) Truth Audit – As a coach, you know self scouting is important. Write down where you want to go, what level you want to be at, what school you want to be at, etc. A valuable question to audit of yourself is this: What are the 3-5 things I’m doing on a daily basis that are going to help me get there? Here are some things I do every single day: I studied at least one successful person. I write down my thoughts on what I learn. I build my system notebook (plays, articles, etc.). I write 2-5 purposeful emails per day on any topic. I search for relationship building material. As a young coach, I wasn’t good at ‘networking’ so I would let resources do my work. Instead of talking, I would email articles and resources with those whom I wanted to connect with. These resources did the ‘networking’ for me. How do you get belief if you’re young? The preparation you put in. The amount of studying you do. Having successes and building off them. Investment with time and resources, especially during the off-season. Also remember, you may not have ‘experience’, but you have ‘experiences’. You can learn from those too. Do you have a success budget? Start setting aside funds for clinics, videos, conferences, and other professional development opportunities. Develop a mindset for success. The best are the best for a reason. Why do we coach? Each of us has a personal job to find out what those reasons are, and use these to develop our own plan! Elite Training Camp for Coaching (ETC) is a two-day coaching and career development event. Coach Eastman, a former NBA executive and assistant coach (LA Clippers and Boston Celtics), college head coach, college assistant coach, college athletic director and Nike Skills Academy Director, is the founder and main speaker at ETC. The 2017 guest speaker was Ed Tapscott, a Washington Wizards executive and former NBA head coach. Eastman and Tapscott share experiences from over 50 years in basketball. Panelists also include college coaches Mike Rhoades, Chris Mooney and Raphael Chillious. Elite Training Camp videos cover 10 sessions and are available as a set or individually HERE.